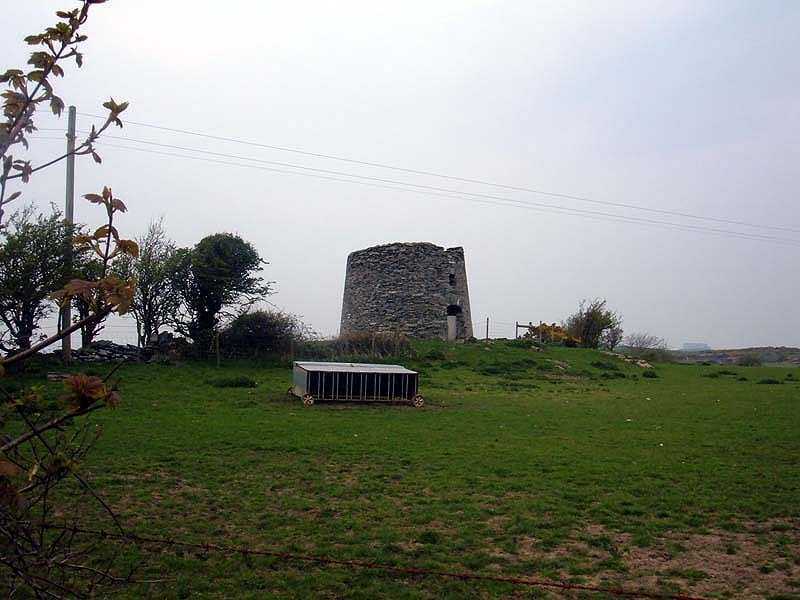 Cemlyn Windmill - Melin Cefn Coch (also known as Caerdegog Uchaf) on the Isle of Anglesey (Ynys Môn) in North Wales. 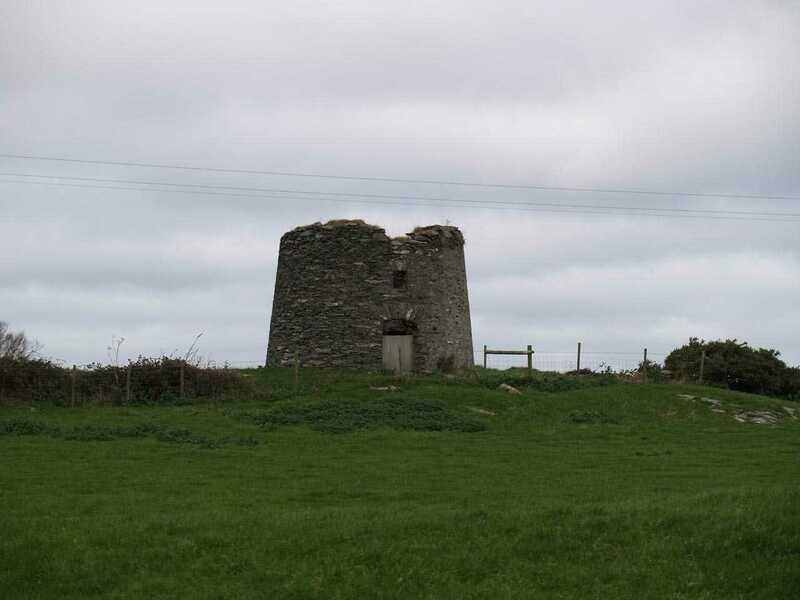 (near) Cemlyn, Melin Cefn Coch Windmill - close up - in 2009. 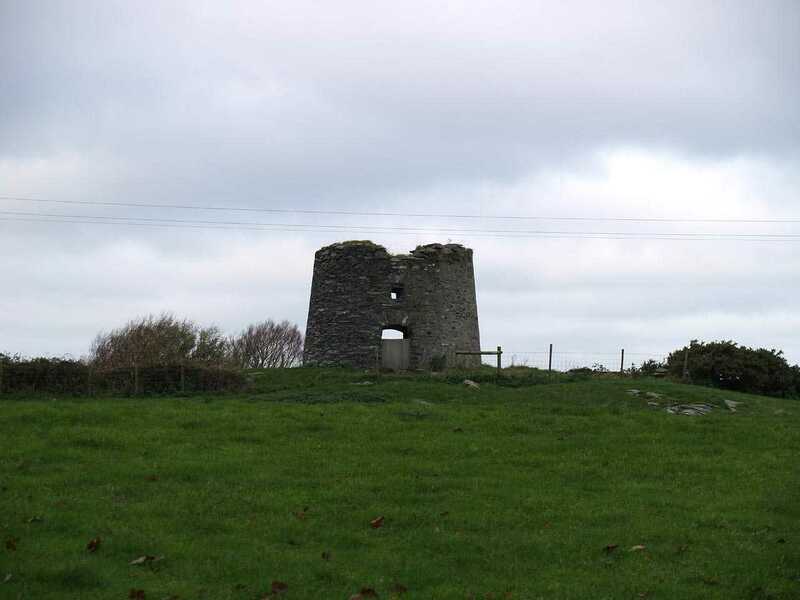 I have put the location of Melin Cefn Coch Windmill as being in Cemlyn - it is not! In truth it is pretty much equi-distance between Cemlyn, Tregele and Llanrhwydrys, and just a little further away from Llanfechell. 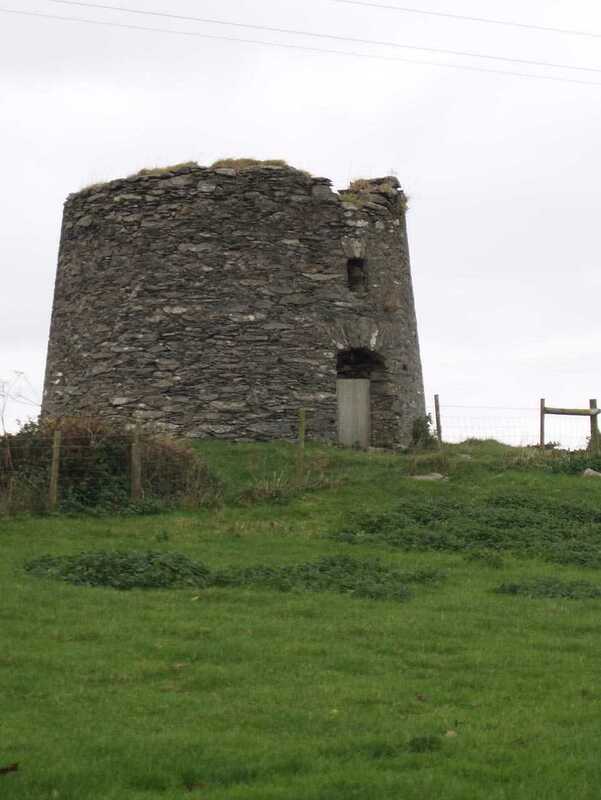 When this windmill - also known as Caerdegog Uchaf - was built is not exactly known, but we do know that it was in existence by 1760. 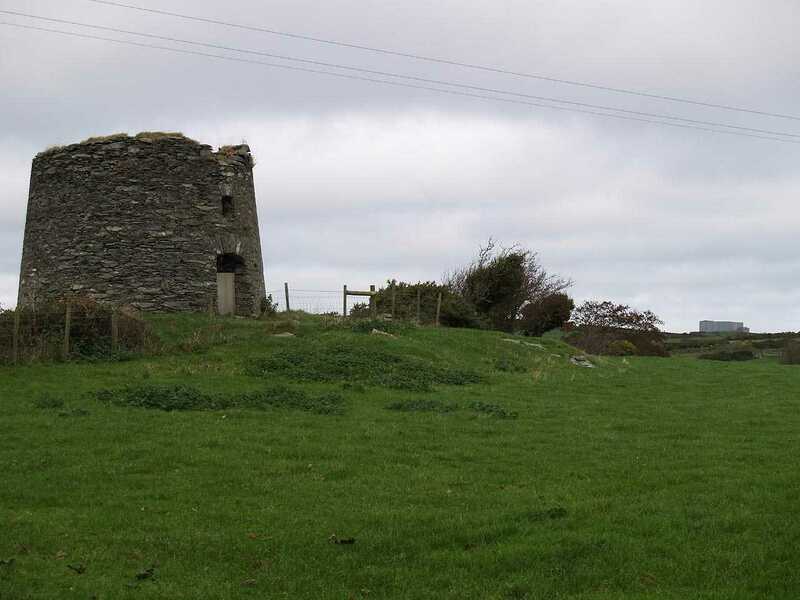 The mill was a corn mill, and continued working up to some time before 1901. 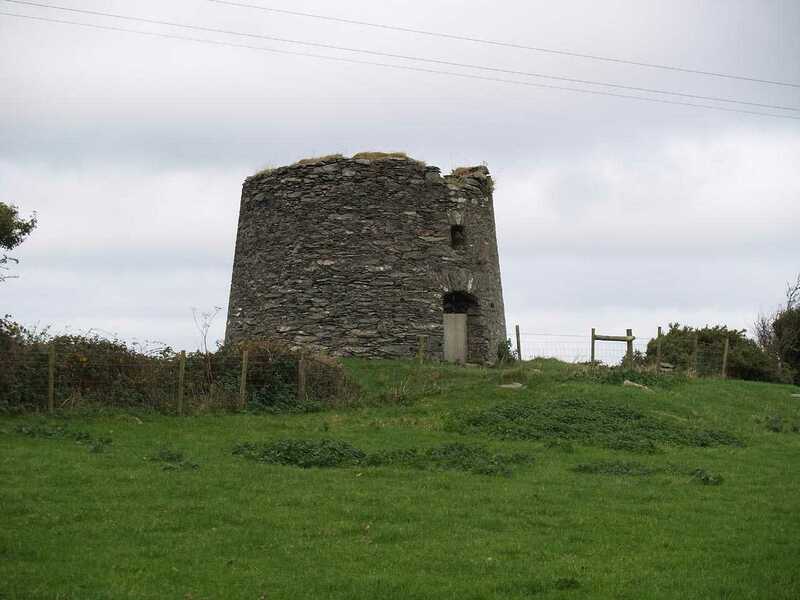 The mill is clearly visible from the A5025 on Anglesey. 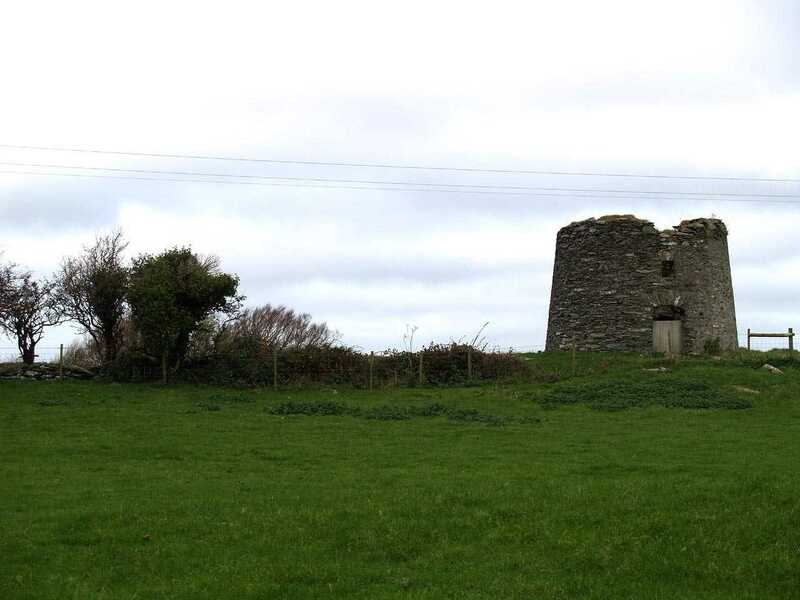 Sometime prior to 1794 the Miller was named as John Prichard, and he had been hired by the agent for Mr Meyrick - a well known and important Anglesey landowner.